Lifelong Michigander: Live from Michigan...It's Saturday Night! If you tune into NBC sometime shortly after 11:30 on Saturday night, you will hear Mike O'Brien's name announced as a Saturday Night Live cast member. O'Brien, who grew up in Blissfield and is a University of Michigan alumnus, joins the cast after serving as an SNL writer for the last several years. He also hosts the hilarious internet series 7 Minutes in Heaven, for which he won a Webby Award. The odds of getting on “Saturday Night Live” are zero. You could go to astronaut school, and you can learn how to get in a rocket and go to the moon, but there’s no “getting a stand-up on ‘Saturday Night Live’ ” school. Jay Mohr’s analogy is statistically accurate. In the 55 years of the space program, approximately 320 Americans have suited up as astronauts, but only 139 people have made the cast of SNL during its 39 year run (and do not forget that many of those cast members were Canadians). On average, NASA accepts 5.8 astronauts per year, while SNL only accepts only 3.6 cast members per year. Maybe the lack of a "getting a stand-up on SNL school" is why Michigan follows the national trend of producing more astronauts than SNL cast members. 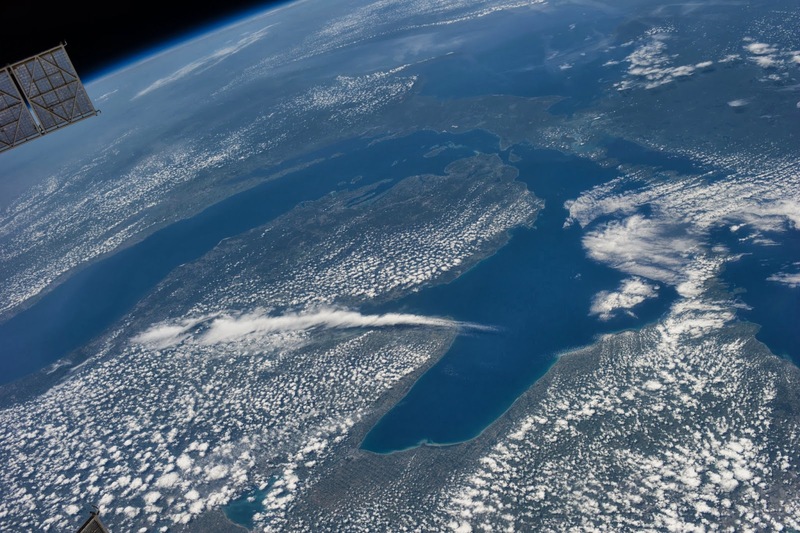 Since NASA began sending people into outer space, eleven of its astronauts were born in Michigan and another five studied at the University of Michigan. In contrast, Michigan has only produced five SNL cast members: Gilda Radner, A. Whitney Brown, Tim Meadows, Tim Robinson and Mike O'Brien (David Spade supposedly was born in Birmingham, but his family moved when he was young). Despite Michigan's dearth of SNL cast members, it is not a humorless state. Several famous comedians grew up in the Great Lakes State, including Lily Tomlin, Tim Allen, David Allen Grier, Sinbad, Dave Coulier and one of the greatest ever, Robin Williams. SNL creator and long-time executive producer Lorne Michaels is Canadian, but one of his first big breaks involved a Michigander. Detroit native Gilda Radner was in the original SNL cast and is still beloved by many for her legendary characters such as Roseanne Roseannadanna and "Baba Wawa," her Barbara Walters impression. On a male-dominated cast, she went toe to toe with comedic heavyweights like John Belushi, Bill Murray and Dan Akroyd and earned an Emmy Award for her SNL work in 1978. When Radner left SNL with the rest of the remaining original cast members in 1980, she began performing on Broadway and filmed three movies with Gene Wilder, whom she married. Radner was diagnosed with ovarian cancer and passed away in 1989 at age 42, but her memory lives on both through her comedy and the many cancer centers Wilder established in her name. A. Whitney Brown was born in Charlotte, Michigan. Unlike the many SNL writers and cast members with college degrees from elite universities, Brown never graduated high school and spent time in a Michigan reformatory for car theft. He moved from town to town after leaving Michigan, learned to juggle and became a street performer. His big break came when he entered the San Francisco Comedy Competition in 1976, which led to spots on The Tonight Show and Letterman. He joined SNL as a writer, but quickly became a featured player and made his mark on Weekend Update with his political segment “The Big Picture.” Despite his lack of formal education, Brown’s sharp-witted political satire earned him a spot as one of the original Daily Show correspondents. Tim Meadows grew up in Detroit and attended Wayne State University. Like many SNL cast members, Meadows studied improv at Chicago’s Second City before SNL hired him. At the beginning of his nine-year run on the show, he always seemed to be the guy with just one or two lines in a sketch. Luckily, Meadows stuck around and became an important part of the cast during his last several years. Two of his best characters were the Courvoisier-loving Ladies Man and Lionel Osborne, the host of a talk show called Perspectives. Detroit native Tim Robinson graduated from Clarkston High School in 2000. He honed his improv skills at Second City Detroit and then Second City Chicago. Robinson was a featured player for the 2012-13 season but is moving to the writing staff for the 2013-14 season. In his one season as a cast member, Robinson did not see much screen time despite positive reviews from his days with Second City. Mike O’Brien started a comedy newspaper, The Anti-Daily, at U of M while also competing for the men’s rowing team. He moved to Chicago after graduating from Michigan to take classes at Second City and eventually made his way onto the Second City stage. His improv work landed him two auditions for SNL in 2005 and 2009. The second audition led to Lorne Michaels hiring O'Brien as a writer. In addition to his gig as an SNL writer, O'Brien has continued to appear in comedy shows on stage and has been featured in online comedy shows and television shows, including Portlandia. On his 7 Minutes in Heaven series, O’Brien has interviewed and creeped out (or turned on) some of today’s biggest stars, including Ellen DeGeneres, Christina Ricci, Elijah Wood, Paul Rudd and Jon Hamm. Now, O'Brien has the opportunity to develop his craft on the same stage that gave us Eddie Murphy, Bill Murray, Will Ferrell and so many other stars. No one knows whether O’Brien will become a big star, but he has already landed on the moon…and the view of Earth must be stunning.